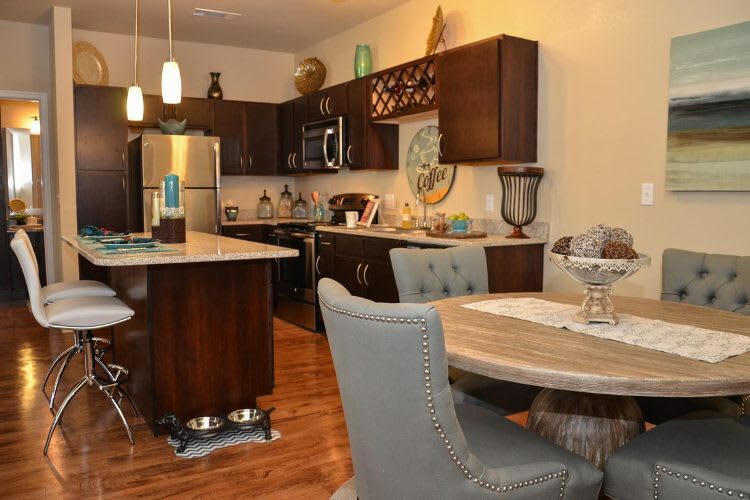 Springs at Sandstone Ranch is ideally located in the beautiful city of Longmont, Colorado. Named for its magnificent views of Longs Peak, Longmont has no shortage of outdoor activities, craft breweries, and delicious eateries. If you love to fish, take your fishing pole and your favorite lure to St. Vrain State Park to see if the bass and catfish are biting. If you’re a biker, you’ll love the easy access to the St. Vrain Greenway, where you can bike the eight miles from Sandstone Ranch to Golden Ponds. If you work up an appetite, stop at The Twisted Noodle for a tasty pasta dish. If you work up a thirst, head on over to Left Hand Brewing Company’s tap room for a refreshing local beer. Springs at Sandstone Ranch is perfectly positioned in Longmont, CO, less than twenty miles from Boulder, and only thirty-fives miles from downtown Denver. We’re also ideally situated for students and commuters, who love the short drives to Mead High School, St. Vrain Valley Schools, Seagate Technology, and Longmont United Hospital. To discover the joys of Longmont for yourself, call Springs at Sandstone Ranch to schedule your tour of our apartments for rent in Longmont, CO today.